As a big fan of mythology in school, primarily Greek, I instantly jump at the chance to read a novel with mythology roots. 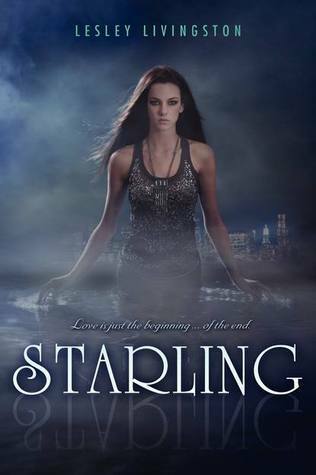 What had me excited for Starling is the Norse mythology, which I must admit I do not have much knowledge of. I’ve had a hard time gathering my thoughts on this one, for some reason, but I will do my best to break it down. Starling doesn’t waste any time to dive into the action and continues to have some great sequences throughout. There was a bit of a lull at a few points in between where we start to gather information about what is going on, though it doesn’t all come together until the end. And I still have many questions that I am hoping will be cleared up in the follow-up. But I did find that the author did a great job making the novel understandable to those who are not familiar with the mythology. 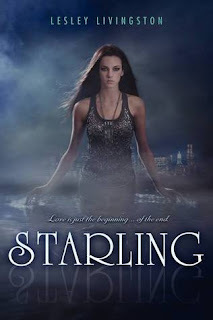 I struggle to pinpoint exact aspects of Starling that I didn’t like, but I do feel like there wasn’t enough time to learn about all of the characters. Our main character is Mason who is a fencer, which I think is super cool by the way. I think she was a bit quiet, but brave and interesting. I really wish I got to connect with her more, but that can be hard to do sometimes with a book told in 3rd person that jumps around between a few characters. There is Fennrys Wolf, who enters the novel as a naked savior wielding a sword. lol He is somewhat of an enigma, which I find fascinating about him. I found the romantic elements between him and Mason to be sweet, but besides the protectiveness they felt for each other, I was glad romance was more on a back burner to the rest of the storyline. My favorite secondary character by far was Heather, the girl you think you are supposed to hate in the beginning but somehow grow attached to. I am really hoping there is a lot more of her to be seen. Besides them, there is a lot of others that I still don’t know if they are the ‘bad guys’ or what. I definitely look forward to figuring that out! Overall, I did find this novel entertaining and enjoyable. The last few chapters were utterly amazing and really leaves you wanting more! I strongly believe the next installment will be even better! I haven’t read this yet, but I love the interweaving of mythology. The first book in a series can be so hard because there is so much set-up to the rest of the story, that I can see how it might lag sometimes. Character development is super important to me, so I hope the next book answers all your missing questions. Great review! I haven’t heard much about this one but I love Norse Mythology! This sounds like such a good book! I just love mythology, but I haven’t read any Norse mythology at all, which I’ve always wanted to. I’ll have to add this one to my TBR list. I like your review, it looks like an interesting book!